Techcrunch is reporting that Amazon has opened the doors to its Appstore Developer Program, pushing live the website and allowing developers to start submitting their apps for when the Android app store goes live. Jason Kincaid spoke with the people responsible for bringing yet another application marketplace to Android (a number of mobile operators around the world already bundle their own offerings with new Android devices) with the aim of clearing up what the Amazon Appstore would actually bring to the platform. It’s apparent that Amazon doesn’t want to reinvent the wheel, this means that you will not find any core Android applications offered via the service. Amazon wants to loosen the constraints on developers, providing them with a service that doesn’t impose any major restrictions (like Apple with its iOS application approvals), a similar process to how Google currently runs its Android Market. Amazon’s Appstore will run on Android 1.6 and upwards, accounting for around 93.7% of the Android devices currently in use. Developers will be able to submit the same applications to Amazon’s Appstore and Google’s Android Market, there are no exclusivity rights, developers will simply be able to advertise their apps wherever the money is. Speaking of money, app pricing is a weird art. Instead of allowing developers to set the pricing they would like, Amazon will control over the pricing of applications. Developers will submit their application, set what is known as a “List Price” (which is the price the developer would normally sell it at), it’s then up to Amazon to decide what it wants to do with its pricing with 70% of the money made from each sale going to the app creator. If Amazon drastically discounts the app or gives it away for free, the developer gets 20% of the List Price regardless. Basically, Amazon says it will use its experience in retailing to maximise your profits. A bit of a step away from marketing your own app on the Android Market, isn’t it?! Amazon will allow customers to buy the applications online which will then sync to the device. It isn’t an automatic push, instead Android users will have to open the Amazon app on their Android device which will then download the applications you have purchased. This is all served, of course, using Amazon’s powerful e-commerce platform, recommending applications whilst shoppers browse the website. 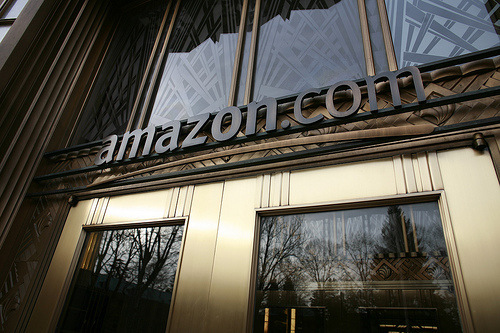 If anything, the Amazon Appstore will complement the Android Market, not replace it. Amazon are due to launch the platform “this year”, only then will we be able to see the power of the retail giant in the apps space.